The United States Government-Wide Cyber Counterintelligence [CI] Plan. The core of the prescient document discusses the six objectives of the government’s Cyber CI program. 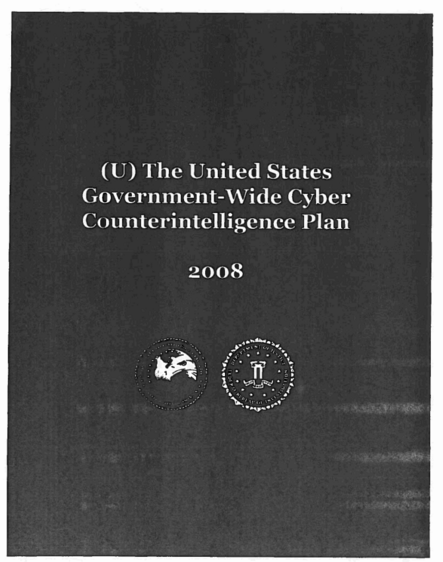 Two of the objectives are redacted from the document; the four objectives that are disclosed include: detecting, deterring, disrupting and mitigating internal and external cyber threats through defensive counterintelligence; strengthening collaboration on cyber issues by, among other things, sharing CI information at the lowest classification level possible; conducting all-source counterintelligence analysis; and establishing and expanding cyber counterintelligence education awareness programs. 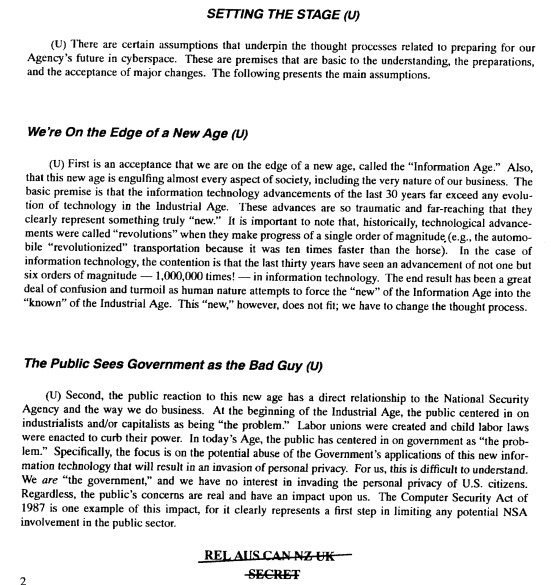 The 2008 Cyber CI plan is just one of the newly-published documents researchers can find in the National Security Archive’s Cyber Vault – an online resource documenting various aspects of US government cyber activity, including hacking and defenses against hacking, cyber intelligence, and cyberwar. The Vault also includes documentation on foreign government and international organizations’ cyber activities. Currently numbering more than 150 curated items, the list will grow with new additions on a weekly basis. Search the Cyber Vault Library Here. The documents in the Vault’s holdings include US government documents that have been pried loose and made publicly available thanks to systematic use of the FOIA and Mandatory Declassification Review process by Archive staff – led by Dr. Jeffrey Richelson, who directs this new project. Additional primary sources come from industry, academia and other cyber actors – all materials are searchable in this robust online publication in permanent open access formats. Read more about the Vault – which is generously funded by the William and Flora Hewlett Foundation – here, and search the growing Cyber Vault Library here.